1513 illustration of the Battle of Grandson by Diebold Schilling the Younger. The Battle of Grandson, which took place on 2 March 1476, was part of the Burgundian Wars, and resulted in a major defeat for Charles the Bold, Duke of Burgundy, at the hands of the Swiss. In late February 1476, Charles the Bold, also called Charles the Rash, besieged the castle of Grandson, located on the lake of Neuchâtel. Grandson belonged to Charles' ally Jacques de Savoie, and the place had been brutally taken by the Swiss the previous year. Charles brought a large mercenary army with him together with many heavy cannon, and the Swiss garrison soon feared, after the effectiveness of the bombardment was demonstrated, that they would be killed when their fortress was stormed. 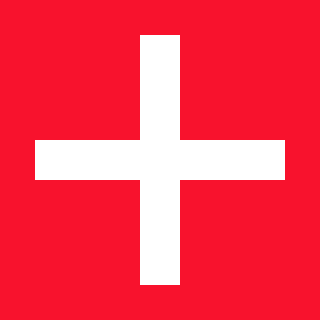 The Swiss, under heavy pressure from the canton of Bern, organized an army to come to the garrison's relief. A boat approached the garrison with the news that an army was coming to its relief, but the vessel was unable to approach the fortress closely for fear that it would be hit by Burgundian cannons. The men in the boat gestured to the defenders in the fortress to inform them that help was on the way, but their gestures were misunderstood, and the garrison decided to surrender. Swiss sources are unanimous in stating that the men only gave up when Charles assured them they would be spared. The historian Panigarola, who was with Charles, claimed that the garrison had thrown themselves on the mercy of the duke, and it was up to his discretion what to do with them. He ordered all 412 men of the garrison to be executed. In a scene Panigarola described as "shocking and horrible" and sure to fill the Swiss with dread, all the victims were led past the tent of Charles on 28 February 1476 and hanged from trees, or drowned in the lake, in an execution that lasted four hours. The Swiss had no news of the fate of the garrison and assembled their forces in the hope of lifting the siege. This army numbered a little over 20,000 men without artillery and probably slightly outnumbered the Burgundians. On 2 March 1476 the Swiss army approached the forces of Charles near the town of Concise. The Swiss advanced in three heavy columns, echeloned to the left rear, moving directly into combat without deploying, in typical Swiss fashion. Poor reconnaissance left Charles uninformed as to the size and deployment of the Swiss, and he believed that the Swiss vanguard was the entire force sent against him. The vanguard, consisting mainly of men from Schwyz, Bern, and Solothurn, realized they would soon be in battle and knelt to pray. When they said three Our Fathers and three Hail Marys, some of the Burgundian army reportedly mistook their actions as a sign of submission. In their zeal, they rode forward shouting, "You will get no mercy; you must all die." The Burgundian knights soon surrounded the Swiss vanguard, but then Charles made a serious mistake. After brief skirmishing, Charles ordered his cavalry to pull back so the artillery could reduce the Swiss forces before the attacks were renewed. At this time, the main body of the Swiss emerged from a forest which had hitherto obscured their approach. The Burgundian army, already pulling back, soon became confused when the second, and larger, body of Swiss troops appeared. The speed of the Swiss advance did not give the Burgundians time to make much use of their artillery and missile units. Charles attempted a double envelopment of the leading Swiss column before the other two arrived, but as his troops were caught shifting to make this attack, they caught sight of the other Swiss columns and retreated in panic. The withdrawal soon turned into a rout when the Burgundian army broke ranks and ran. For a time, Charles rode among them shouting orders for them to stop and hitting fleeing soldiers with the flat of his sword. But once started the rout was unstoppable, and Charles was forced to flee as well. Few casualties were suffered on either side: the Swiss did not have the cavalry necessary to chase the Burgundians far. At insignificant cost to themselves, the Swiss had humiliated the greatest duke in Europe, defeated one of the most feared armies, and taken a most impressive amount of treasure. The booty Charles carried with him was immense, and included jewellery, silver and gold plate, tapestries and much of Charles' artillery. The Swiss initially had little idea of its value. What is probably a small surviving part of this fantastic booty is on display in various Swiss museums today, while a few remaining artillery pieces can be seen in the museum of La Neuveville, near Neuchâtel, Switzerland. After the battle, the Swiss troops came upon the bodies of their countrymen still hanging from trees. An eyewitness, Peterman Etterlin, described the scene: "There were found sadly the honorable men still freshly hanging on the trees in front of the castle whom the tyrant had hanged. It was a wretched, pitiable sight. There were hung ten or twenty men on one bough. The trees were bent down and were completely full. [H]ere hanged a father and a son next to each other, there two brothers or other friends. And there came the honorable men who knew them; who were their friends, cousins and brothers, who found them miserably hanging. There was first anger and distress in crying and bewailing. ..."
Charles had attempted to break the will of the Swiss by killing any of their countrymen he could apprehend. Instead he united them as never before. When the Burgundians met the Swiss at the Battle of Murten (Morat in French) in June 1476, the Swiss annihilated his army. ^ Florens Deuchler, Die Burgunderbeute, q.v. Heinrich Brennwald, Schweizerchronik, (Basel: Basler Buch- und Antiquariatshandlung, 1910) 2: 244-9. Philippe de Commynes, Memoirs: the Reign of Louis XI, (Baltimore: Penguin Books, 1972), pp. 280–2. Gerald Edlibach, Chronik, (Zurich: Meyer, 1847), p. 150-1. Petterlin Etterlin, Kronika von der loblichen Eidgnoschaft, (Basel: Eckenstien, 1752), pp. 89–91. Johannes Knebel, Chronik aus den Zeiten des Burgunderkriegs, (Basel: Bahnmaier, 1851) 2: 357-60. "Panigarola and den Herzog (Galeazzo Maria Sforza) von Orbe," 4 March 1476 as cited in Wilhalm Oechsli ed. Quellenbuch zur Schweizergeschichte, (Zurich: Schulthess, 1901), pp. 232–4. Diebold Schilling, Die Berner-Chronik, (Bern: Wyss,) 1: 373-5. Alberto Winkler, The Swiss and War: the Impact of Society on the Swiss Military in the Fourteenth and Fifteenth Centuries, unpublished PhD dissertation, Brigham Young University, 1982, pp. 73–6. Florens Deuchler, Die Burgunderbeute: Inventar der Beutestücke aus den Schlachten von Grandson, Murten und Nancy 1476/1477, Verlag Stämpfli & Cie, Bern 1963. The Battle of Morat was a battle in the Burgundian Wars (1474–77) that was fought on 22 June 1476 between Charles the Bold, the Duke of Burgundy, and a Swiss Confederate army at Morat/Murten, about 30 kilometres from Bern. The result was a crushing defeat for the Burgundians at the hands of the Swiss. Adrian von Bubenberg was a Bernese knight, military commander and mayor (Schultheiss) of Bern in 1468-1469, 1473-1474 and 1477-1479. In Switzerland, he is remembered as the hero of the Battle of Murten. Anne of Geierstein, or The Maiden of the Mist (1829) is a novel by Sir Walter Scott. It is set in Central Europe, mainly in Switzerland, shortly after the Yorkist victory at the Battle of Tewkesbury (1471). 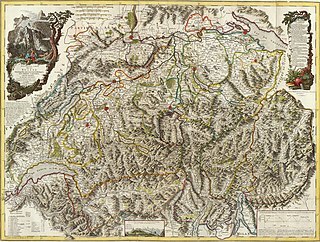 It covers the period of Swiss involvement in the Burgundian Wars. Petermann Etterlin, was born in Lucerne as the son of Egloff Etterlin, who served as chronicler of the city of Lucerne from 1427 to 1453. Although his parents had destined him for an ecclesiastical career, Etterlin never became a clergyman. In 1464, Etterlin was appointed copyist of the city of Lucerne. The revolt of Ghent was a rebellion by the city of Ghent against the Duchy of Burgundy. It lasted from 1449 to 1453. The rebellion was eventually suppressed by the Burgundians. Grandson Castle is a medieval castle in the Swiss municipality of Grandson in the canton of Vaud. It is a Swiss heritage site of national significance. Margrave Philip of Hachberg-Sausenberg was the son of the Margrave Rudolf IV of Hachberg-Sausenberg and Margaret of Vienne. Philip reigned in 1487–1503 as Margrave of Hachberg-Sausenberg and Count of Neuchâtel. From 1466 he called himself Lord of Badenweiler.